Without an engine your car isn’t going anywhere. Without a properly maintained engine and you may be in for some trouble. Checking your engine’s fluids is a great way to make sure your car is healthy and an easy way to diagnose problems early on. Your engine is home to your oil, antifreeze, power steering, wiper fluid and more. Many of these can be checked by taking a look at their tanks directly, others however require a bit more finesse. Also under the hood are your engine’s belts, the likely culprit of many of the screeching noises you’ve heard cars make. 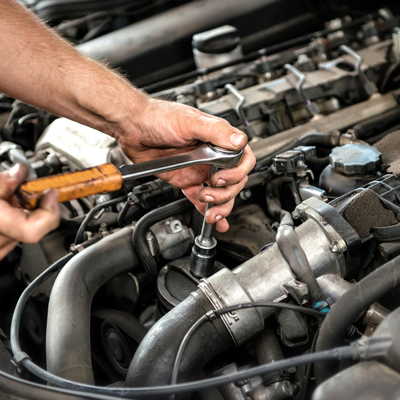 If something doesn’t sound right, or if it’s just time for an oil change, call Noebull Automotive today to set up an appointment for your car’s engine.